Album Photo by Sharon Mayock, Mr. Austin by Lavinia Ross. Monsieur Beaucastel grudgingly consented to having his picture taken with me here for the album cover. He and his companion Mr. Austin moved to Oregon with us in 2003. 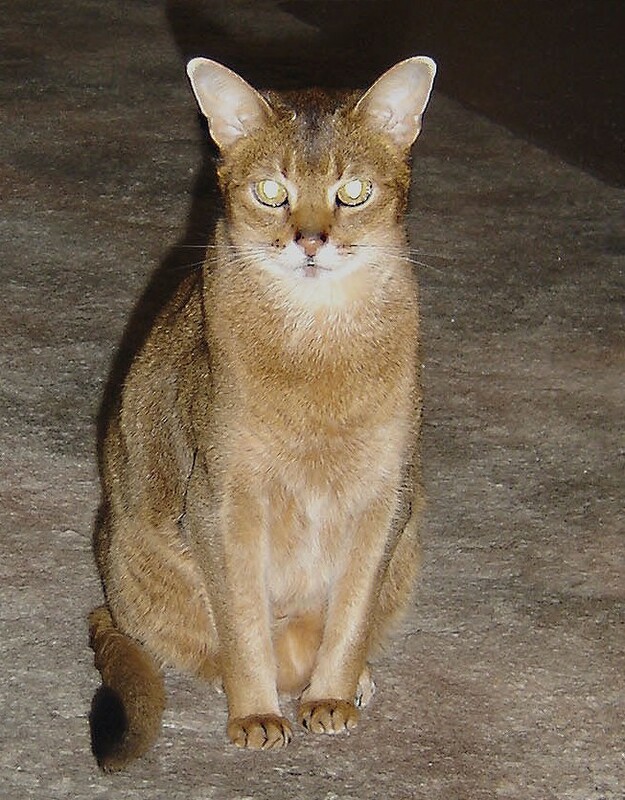 Mr. Beaucastel was 18, and Mr. Austin just a few months shy of 20 when they passed on. The tuning I use for this song is AADEAD, with the 6th string tuned a full octave below the 5th A. Rick was my primary production engineer for this CD, and I owe him a great deal for helping me find a voice, and a place, for my own music. Mastering was done by Rick Handville at The Rhythm Shop in Granby, CT.
Story behind this song: Many long years ago, I worked with an engineer who was in his 60s. We became good friends, and he took it upon himself to introduce me to all kinds of music by bringing me tapes to listen to and discuss. At least once, this occurred during a staff meeting, and I was a bit nervous as the manager seemed to be getting irritated. Our manager finally came over and asked what was so interesting. My friend replied, “I’m introducing her to mainstream music!” Perplexed, the manager asked, “Really? What is ‘mainstream’ music??? ?” My old friend replied with a smile, “Anything I like!” A mischievous soul who did not approve of pretense, he told me that he would sometimes take the same monthly report and stick poetry in the middle of it, only changing the date, just to see if anyone was actually reading them. So begins the tale of my friendship with this feisty, old engineer, and story of “The Keepsake”. One day at work I noticed a painting hanging up in his cubicle – a small oil painting done on a piece of veneer, of a mountain, glacier, a lake and chalet – a peaceful-looking place, it was, something from another land and time. I asked him where he got it from. He told me that towards the end of WWII he had been stationed in Austria, and as many soldiers have done in every war throughout history, he fell in love with one of the local women. When he was finally called back home, she couldn’t go with him. On his last day there, she met him at the train station, gave him the painting, and asked him not to forget her. Intrigued now with the story of these two, I asked, “Didn’t you ever try to find her after the war? Maybe she is still alive, and would like to know you are still alive.” “No!” he said. “The Russians were on their way in, and she couldn’t come back with us. It’s easier for me not to know what happened to her.” I let it drop, as he never would tell me her name. But a few years later when I left the company, he met me at the elevator on my way out and gave the painting to me, asking me not to forget him. I never did, and we kept in touch. I still have the painting, this window into another time and place, and other lives. Based on the signature, my guess is that it was another American, or perhaps British soldier who created it. I’ll never know. Many years later I was finally able to create a song for them, mainly for her, the one who was left behind. My old friend has since passed away, and she is probably gone now, as well. May they both, and all the other casualties of war, rest in peace. 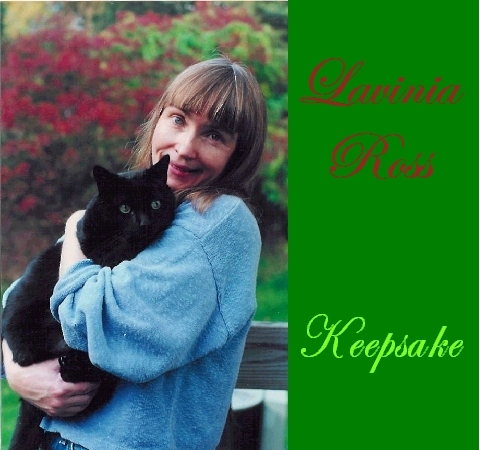 1: The Keepsake – music and lyrics by Lavinia Ross. Tuning used here is AADEAD. Story? See above! Jim LaMontagne on fretless bass. 2: Cornflower Blue – author Kate Wolf. Kate is one of my all time favorite folk singers who left this Earth too early in life. I perform my own arrangement of her very beautiful song on 6 string guitar in open D, capo on second fret. 3: Remembered Goodbyes – author Lavinia Ross. Instrumental in open D on the 6 string guitar. Written for someone I grew up with who ended up taking the life of several co-workers, and then his own life. I still cannot fathom the events of that day. As a little boy, he would pick up bumblebees, and pet them. A gentle soul. Jim LaMontagne on fretless bass. 4: Redtail Hawk– author George Schroder. I perform my own arrangement of his soulful song on the old Ventura 12 string guitar, tuned to open G minor. Jim LaMontagne on fretless bass. G minor tuning can send chills down the spine, especially on that old $100 12 string I bought back in 1977. I’ve never run across another guitar quite like that one. 5: Millworker – author James Taylor. I learned this James Taylor song at Rick’s urging. He thought it would be a good one for me, and it has been. I perform my own open tuning arrangement of his beautiful tune on 6 string guitar in DADEAD, capo up on the 3rd fret. I used the guitar I built in class for this one, as it had the right sound for what I wanted. 6: Back Roads – author Kate Wolf. I perform my own arrangement of this song about taking the long way home on the old Ventura 12 string on open G. Jim LaMontagne on fretless bass. I first heard Nina Gerber’s instrumental version of this song on the Kate Wolf Tribute album, and fell in love with it. 8: Believe in Tomorrow – music and lyrics by Lavinia Ross. Jim LaMontagne on fretless bass. I used the Guild 12 string in standard tuning for this song. Story? I was asked once to put music to a poem written in remembrance of a particular passenger on the ill-fated flight TWA 800 that went down into the Atlantic off of New York in 1996 . My sister gave me the poem, written by a relative of the passenger, but this song fell out instead. I couldn’t come up with any good music for the poem, beautifully written as it was. For my grand-nephew Tyler, who died as the result of a hit-and-run accident by a drunk driver. There is a painting of Tyler, based on a photo of him fishing, and I wrote my song for him based on that painting. 10: Tomorrow is a Long Time – author Bob Dylan. I wanted one song on this album where Rick and I sing a duet while he plays. Rick used the Guild 12 string for this classic Bob Dylan tune. I love Rick’s fine picking style, which he learned in part from listening to Ian & Sylvia, John Herald as well as Tom Rush recordings. Jim LaMontagne on fretless bass. I enjoyed reading about your songs! I’ve always wondered how an album’s lineup is chosen–and knowing the back story always adds to the listening experience. 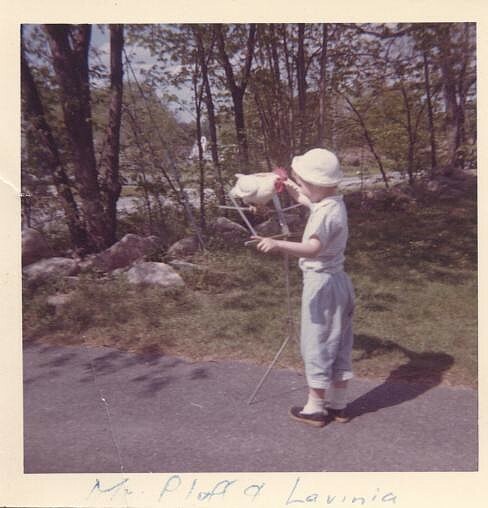 I would have LOVED to have had a Mr. Pluff when I was a kid! Did have a parakeet (Tinkerbell), and eventually a cat (Poody). Thanks for stopping by! “Urge for Going” – I think that is my favorite song of Joni’s, and I hope to record my 12 string version of it someday. Yes, you would have loved Mr. Pluff the Chicken! He was unique. Thank you, Greg and Jean! Looking forward to hearing more of your music! Hi Kim, good to hear from you!!! Yes, I remember you, and your horses Cochise and Shawnee. Thanks for stopping by!!! I will be in touch! Dear, Nia, thank you for listening to the music and the stories! I hope to have my own channel up and running not too long from now. The plan is to make a series of one song videos, “Tiny Farm Concerts” once I have recovered my strength and energy, which had been seriously run down over the last 3 years of caregiving. Hi Lavinia, just listened to some of your music. Beautiful! Hope you good American folk survive beyond the forthcoming elections. It all seems rather surreal from this distance. Just listened to a few of your songs for the first time, Lavinia… love that smooth rich voice and the way you play the guitar. Beautiful folk music. I especially enjoyed, The Keepsake. Hi Kevin, thanks for stopping by and the kind comments on the music! And so glad you enjoyed The Keepsake. My old friend meant a great deal to me. I was really touched by the story of soldier, the woman who couldn’t come with him and how the painting was in the middle of the story. Life is life, there are no insurances to it, and I think it was said he didn’t try to find her later. Who doesn’t love a happy ending? Isn’t that amazing that such a story can find its way into your music? You are very talented, I always love the soul touching lines and sounds. I also find it so adorable when people do not allow the daily heavy work routines killing their talents. Hi Inese, thank you so much for visiting this page and the kind comments. I was lucky to have had this old friend who touched my life in a way that inspired me to be more than I was, and inspired this song. “The Keepsake” is a beautiful song, all the more poignant when we know the sad story behind it. Thank you for stopping by, Steve, and for listening. I am glad you enjoyed the song. Yes, a very sad and beautiful story. By the way, I see you’re a big fan of Kate Wolf. I attended her performance when she came to Austin in the mid-1980s, and I even made a 3-D portrait of her. Hers is another sad story, given how young she was when she died. I learned about Kate’s music after she died, and became a real fan. I was saddened to think I would never get to meet her, although I did meet her family in later years at a Kate Wolf Festival. I am glad you had a chance to see her live. She left a legacy of beautiful songs behind, and by accounts was a wonderful person to know. Anyone that loves Kate Wolf has exquisite taste in music. Enjoyed reading about your album. Thank you, Pat! Kate Wolf was a wonderful musician, and left this earth all too soon.